Enya (born Eithne Patricia Ní Bhraonáin on May 17, 1961, Gaoth Dobhair, County Donegal, Ireland), sometimes presented in the media as Enya Brennan, is an Irish singer and songwriter. She is Ireland's best-selling solo artist and is officially the country's second biggest musical export (second only to U2). Her works have earned her four Grammy Awards and an Academy Award nomination and is also famous for performing in 10 different languages during her lengthy career. Enya is an approximate transcription of how Eithne is pronounced in her native Irish, in the Donegal dialect. Enya was born in Gweedore / Gaoth Dobhair, County Donegal, Ireland in 1961 to a musical family, the sixth of nine children. Her grandparents were in a band that played throughout Ireland, her father was the leader of the Slieve Foy Band before opening a pub, and her mother played in a dance band and later taught music at the Gweedore Comprehensive School. Enya has four brothers and four sisters, several of whom formed the band An Clann As Dobhar in 1968. They renamed the band Clannad in the 1970s. Enya on the cover of Clannad's 1981 album "Fuaim".In 1980, Enya worked with Clannad, the band composed of her siblings Máire (Moya), Pól, and Ciarán and twin uncles Noel and Padraig Duggan. Enya played the keyboard and provided backing vocals on their album Crann Úll (1980), although she was not officially a member of the group until the 1981 release Fuaim, when she appeared on the cover. In 1982, shortly before Clannad became famous for "Theme From Harry's Game," producer and manager Nicky Ryan left the group and Enya joined him to start her own solo career. Enya then formed her own recording studio, named "Aigle", which is French for "Eagle". Enya recorded two solo instrumental songs called "An Ghaoth Ón Ghrian" ("The Solar Wind") and "Miss Clare Remembers" that were released on the 1983 album Touch Travel. She was first credited as Enya (as opposed to Eithne) for writing some of the music for the 1984 movie The Frog Prince, which was released on a soundtrack album of the same title. 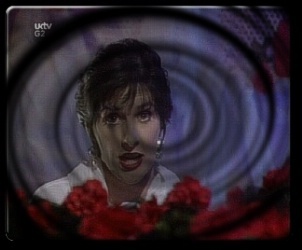 Another early appearance on record followed in 1987, where Enya provided spoken (not sung) vocals on Sinéad O'Connor's debut album, The Lion and the Cobra. The title of the album is a partial English translation of Enya's Gaelic reading of Psalms 91:11-13 on the song "Never Get Old". Enya was contracted to provide music for the soundtrack of the 1986 BBC television documentary The Celts. The music she produced was featured on her first solo album, Enya (1987), but it attracted little attention at the time. The B-Side single "Eclipse" is actually a reversed and modified version of Enya's song "Deireadh An Tuath", from this 1987 album Enya. The song "Boadicea", also from this album, would later be sampled by The Fugees on their single "Ready or Not" (1996), causing a brief stir because the group neither sought permission from Enya nor gave her credit initially, and by Mario Winans, who did give her credit (the Winans track, "I Don't Wanna Know" which features a rap by P. Diddy and is officially credited to all three artists, became Enya's highest charting single in the US, when it peaked at #2 on the Hot 100 in 2004). Enya achieved a breakthrough in her career in 1988 with the album Watermark, which featured the hit song "Orinoco Flow" (sometimes known as "Sail Away"). "Orinoco Flow", featuring Jay Tyree, reported to be named after Orinoco Studios (now Miloco Studios), where it was conceived, topped the charts in the United Kingdom, and the album sold eight million copies. Three years later, she followed with another hit album, Shepherd Moons, which sold ten million copies and earned Enya her first Grammy Award. The songs "On Your Shore" and "Exile" (from Watermark) and "Epona" (from Enya) were featured in the 1991 film L.A. Story. "Ebudae" was also featured on the soundtrack to the Robin Williams film Toys, while the 1990 film Green Card had "River", "Watermark", and "Storms In Africa". "Book Of Days" was featured prominently in the movie Far and Away, with an English-lyric version created for the film then replacing the old Gaelic-language version on all pressings of the Shepherd Moons album from 1993 onwards. In 1992, a re-mastered version of the Enya album was released as The Celts including a longer, modified version of "Portrait", which was re-named as "Portrait (Out of the Blue)". 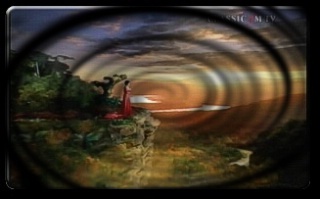 Four years after Shepherd Moons, she released the Grammy-winning The Memory of Trees (1995). Singles released from the album were "Anywhere Is" and "On My Way Home". 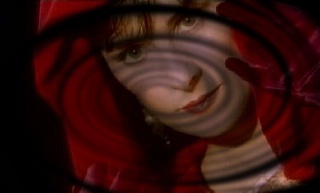 Enya in the video for the hit song, The Celts from 1992.In 1997, Enya released her greatest hits collection, Paint The Sky With Stars: The Best of Enya, which featured two new songs: "Paint the Sky With Stars" and "Only If..."; "Only If..." later became a single. ("Only If You Want To", is an early version of "Only If...". It appears on a promotional Japanese CD called, The Best of Enya, and does not include the French lyrics.) She was offered the chance to compose the score for James Cameron's 1997 film Titanic, but declined. The eventual choice of Norwegian vocalist Sissel Kyrkjebø, whose style is similar to Enya's, resulted in work that some sources erroneously credited to Enya, although in interviews, the songs were officially credited as the sound of Clannad. A 1989 recording of Enya singing an Irish Language version of "Silent Night" ("Oíche Chiúin") has been reissued many times over the years, including The Christmas EP (which otherwise contained several non-holiday related previously issued recordings by Enya) and the 1997 edition of the charity album A Very Special Christmas.